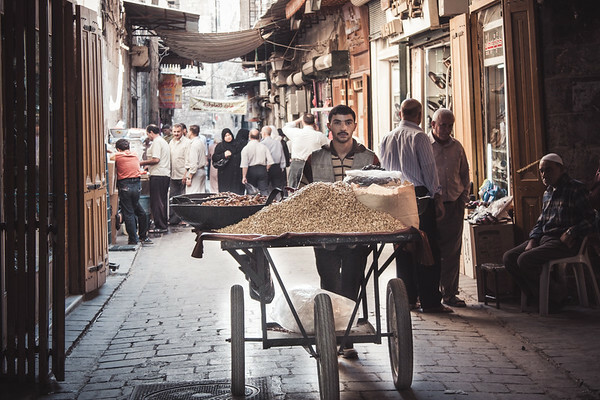 Located within the walled ancient part of the city, al-Madina souk was the largest covered historic market in the world, with an approximate length of 13 km. Many sections of the souk and other medieval buildings in the ancient city have now been destroyed due to the war. All profits made from prints purchased from the SYRIA album will be donated to the Syrian Armenian Relief Fund.